Southern longleaf pine; official state tree of Alabama. Photo by bobistraveling/Flickr (Use Permitted with Attribution). The longleaf pine ecosystem once covered 90 million acres in the Southeastern United States. Today only scattered patches of the longleaf pine/wiregrass ecosystem occur - mostly in the coastal plains of the Carolinas, Georgia, Florida, Alabama, Louisiana, and Texas. Less than three million acres remain (over 97% decline) and over 30 plant and animal species associated with longleaf pine ecosystems are threatened or endangered. Longleaf pine can grow to a height of over 100 feet. Longleaf pine is a unique tree because it develops very little above ground during the first one to five years of life (during this time it is often mistaken for grass). 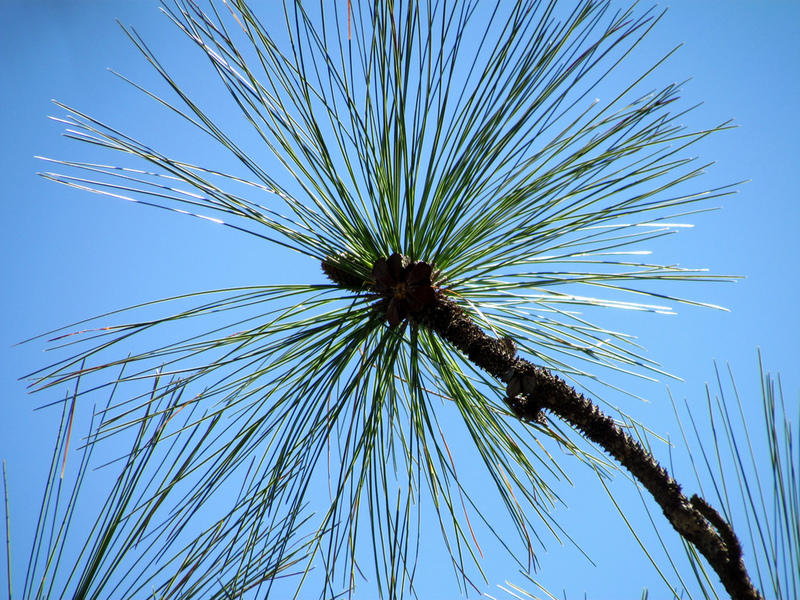 The longleaf pine is so named and distinguished by the needles which are about 8 - 15 inches long. (the cones are 6 - 8 inches long). 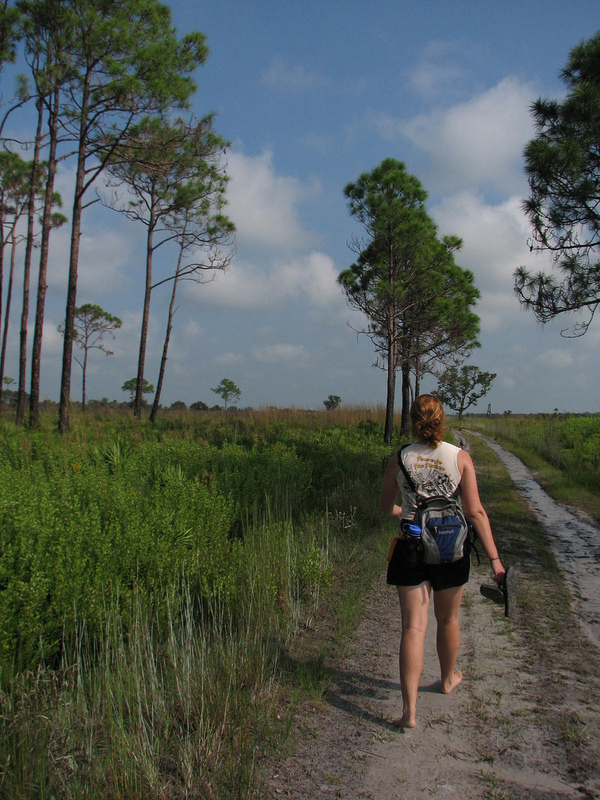 Southern longleaf pines; walking amidst an endangered ecosystem. Photo by Sarah H/Flickr (noncommercial use permitted with attribution/no derivative works). 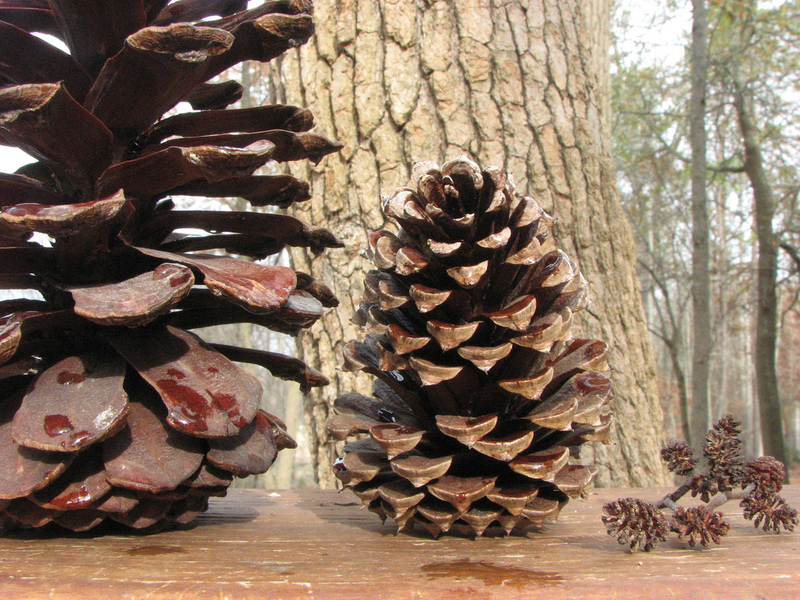 Pine cones left to right; endangered longleaf pine, loblolly pine, alder. Photo by Vicki DeLoach/Flickr (noncommercial use permitted with attribution/no derivative works).